What a joy to present our fourth prompt of Haiku Shuukan. This week the prompt is Dreamcatcher and it has in some way a connection with our other haiku meme Carpe Diem Haiku Kai were we are busy with a month full of folktales, myths, legends and saga. 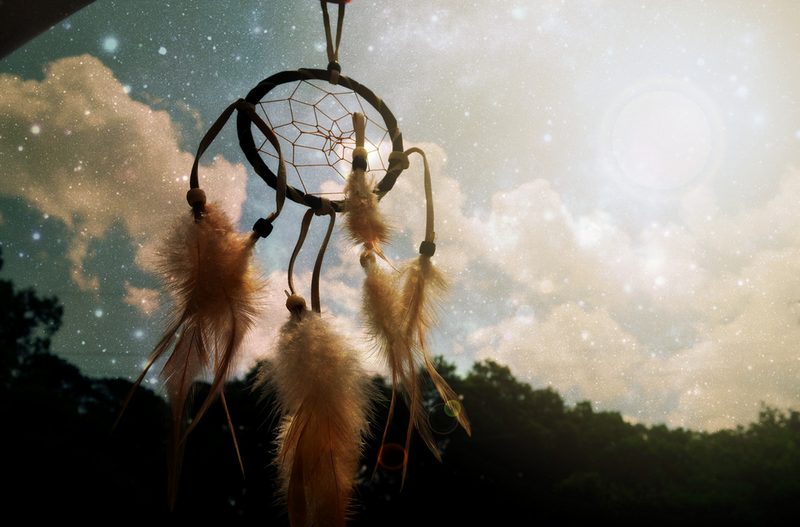 The Dreamcatcher has its roots in the Native American culture and is also used in a lot of other homes and families to protect the people for bad dreams. Back into 2012 I have done a "Tackle It Tuesday"-episode with this same prompt "dreamcatcher". So maybe ... for your inspiration you can visit that weblog too. Well ... this was our prompt for this week, have fun, be inspired and share your haiku with us all here at Haiku Shuukan.This episode is open for your submissions until May 16th noon (CET). It's amazing how often what one believes comes true if you look for it. Thanks again, Kristjaan. These tough prompts really get the grey matter working!